We’d love your help. Let us know what’s wrong with this preview of Drinking the Knock Water by Emily Kemme. Named a Finalist for Chick Lit in the 2017 Next Generation Indie Book Awards, Drinking the Knock Water is a breathtaking book following couples on their journey of deciding whether parenthood is the right path to take. The novel details the lives of several families going through the all too familiar stress and struggle of creating a family while nurturing the relationship with one’s spouse. Difference of opinion from family members as to life choices rears its head. Serious toned yet often humorous insight focuses on themes of fertility, having children, life, death and religion — but not necessarily in that order. Drinking the Knock Water: A New Age Pilgrimage, loosely based on Chaucer’s Canterbury Tales is a Twenty-first century literary novel that takes on life itself as a pilgrimage. To ask other readers questions about Drinking the Knock Water, please sign up. This book will grab you and not let you go as you go on Holly's emotional journey, a spiritual pilgrimage, where she learns what truly matters in life. The relationships that shape us and can undo us. It's as much an outer journey as an inner one as Holly digs deep to learn who she really is. The characters are drawn very realistically and you feel, at times, like you're in the room with them, experiencing what they're experiencing. Traveling along to England and exploring the sacred feminine si This book will grab you and not let you go as you go on Holly's emotional journey, a spiritual pilgrimage, where she learns what truly matters in life. The relationships that shape us and can undo us. 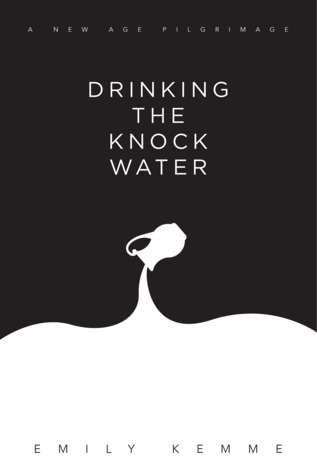 I just finished reading: Drinking The Knock Water: A New Age Pilgrimage by Emily Kemme and I wanted to start over and re-read it, knowing what I know now. It's one of those rich, deep kind of novels that makes you think about so many things in life. We are all pilgrims in the New Age. Some of us know it. Some of us deny it. Some embrace it. And some hide it. Some of us arrive at our final destination and if we're lucky, we feel at peace. And some keep wandering. I know this review might sound a b I just finished reading: Drinking The Knock Water: A New Age Pilgrimage by Emily Kemme and I wanted to start over and re-read it, knowing what I know now. So begins Drinking the Knock Water: A New Age Pilgrimage, the second novel by award-winning Greeley, Colorado author Emily Kemme. Loosely based on Chaucer’s Canterbury Tales, the novel takes on life itself as a pilgrimage. One of life’s biggest struggles is fitting in; one aspect of that is having children. It’s not meant for everyone and yet, true to Darwinian forces, it’s almost expected. Giving birth and raising a child is one of our bravest tasks. Drinking the Knock Water is a breathtaking novel, following couples on their journey of deciding about parenthood. With searing honesty, the story takes readers on an emotional pilgrimage through the relationships that make us who we are. Emily’s first novel: In Search of Sushi Tora, was named a Finalist for First Novel in the 2012 Next Generation Indie Book Awards. She is also a co-author of the collaborative non-fiction history of the Greeley Philharmonic Orchestra, The Greeley Philharmonic Orchestra: A Century of Musical Magic, 1911-2011, which won a 2011 Next Generation Indie Book Award for Regional Non-Fiction. Emily is currently working on a children’s book series, Moro and The Cone of Shame, a collaborative project with her daughter-in-law, Mia. She is also writing her third novel, The Man With the Wonky Spleen, a story about human idiosyncrasies.